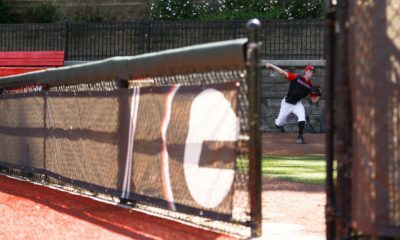 Freshman pitcher Kevin Smith (1-0) tossed seven innings of one-run ball to lead Georgia (2-1) to a 5-1 victory and a series win over Georgia Southern (1-2) on Sunday at Foley Field. The Bulldogs struck first in the fourth inning on an RBI fielder’s choice for freshman LJ Talley, his first career RBI. The Eagles evened the score at 1-all in the top of the fifth on an error, but Georgia responded in a big way in the bottom half. The Bulldogs sent eight batters to the plate and scored four runs, all with two outs, to open up a 5-1 lead. Sophomore Keegan McGovern launched a double off the center field wall to score two runs, while the other two runs came via a misjudged fly ball to right field off the bat of freshman Michael Curry. Smith’s impressive debut came at the expense of the Georgia Southern lineup, which struck out seven times and managed only two hits on the lefty in seven innings pitched. 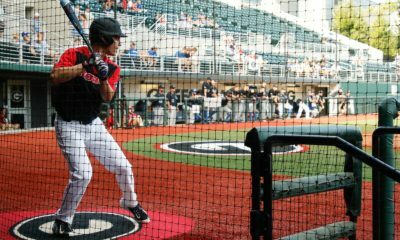 The Bulldogs’ Skyler Weber and McGovern accounted for five of Georgia’s seven hits hitting out of the two- and three-hole, respectively. Weber and McGovern also lead the team in batting average after the first series. Georgia Southern’s Hunter Phillips (0-1), one of six pitchers utilized by the Eagles, was charged with the loss after surrendering two earned runs on one hit in two-thirds of an inning. – Kevin Smith provided Georgia with a big start in his collegiate debut. The freshman went 7.0 innings while allowing only one run (unearned) on two hits, two walks and seven strikeouts. – Keegan McGovern finished Sunday 3-4 with two doubles, two RBIs and two runs scored, capping an impressive opening weekend. The sophomore finished the series 5-12 at the plate with a home run, two doubles, and four RBIs. 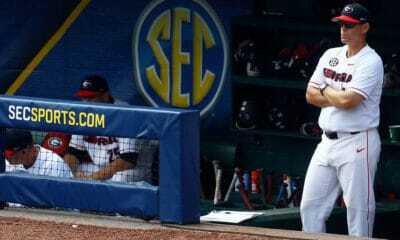 – In the Bulldogs’ big fifth inning, Nick King started a streak of four straight Georgia batters (Weber, McGovern, Nichols) to come around to score. – Georgia starting pitchers (Tyler, Holder and Smith) combined to throw for 18.2 innings on the weekend. The Bulldog starters only allowed three earned runs and seven hits in three games. 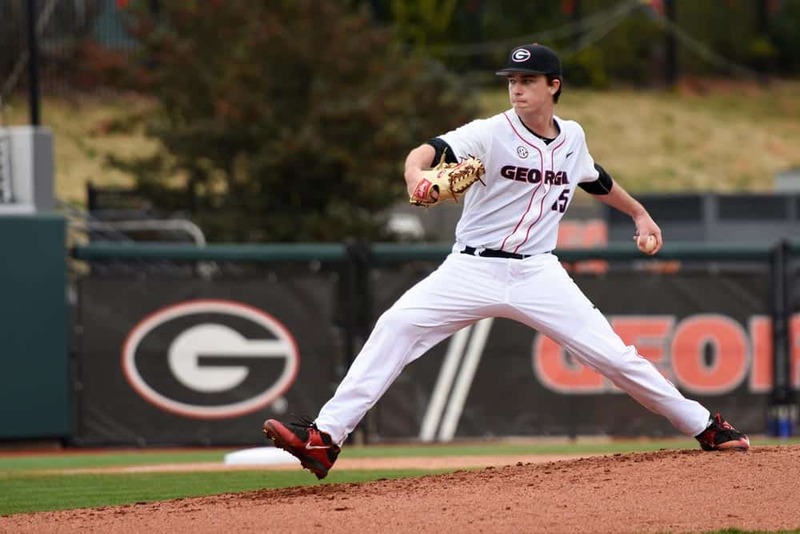 – Georgia freshmen combined to pitch the entire game for the Bulldogs, each in his respective debut. After Smith went seven innings, Shane Tucker worked 1.1 innings of scoreless ball without allowing a hit. Adam Goodman earned the final two outs in the ninth without allowing a baserunner. Georgia will host the Bulldog Invitational next weekend. The Bulldogs will face South Alabama at 5 p.m. on Friday, Cincinnati at 4 p.m. on Saturday and Western Kentucky at 3 p.m. on Sunday at Foley Field. 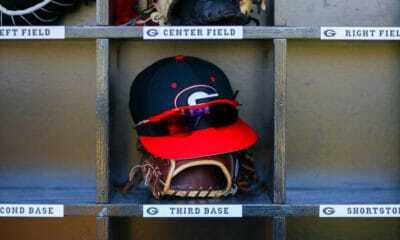 For all the latest on Georgia baseball, follow the team on Twitter (@baseballuga), Instagram (@baseballuga) and on Facebook (Georgia Baseball).